If you’ve been to Dubai or neighboring emirate Abu Dhabi in the middle of summer, you’ve not only experienced a kind of heat that drains the life force from your pores, but you will also recall the bone-freezing experience of walking into any public building during these same months. Counteracting soaring outdoor temperatures with overactive air-conditioners is costly for Abu Dhabi and – in today’s climatic and energy context – no longer tenable. Which is why the Masdar Institute of Technology (MIST) is so fired up to find ways to slash energy demand for cooling. MIST announced that a new task force comprised of several entities will work on six specific research projects designed to cut energy use for cooling. The Executive Affairs Authority of Abu Dhabi (EAA) is the government agency in charge of overseeing the initiative, which will be joined by the Abu Dhabi Water and Electricity Authority (ADWEA), the Regulation and Supervision Bureau, the Department of the Municipal Affairs (ADM) and the Urban Planning Council (UPC). “Air-conditioning accounts for over 60% of Abu Dhabi’s electricity demand, making it the most costly source of electricity in the Emirate,” says Dr Sultan Ahmed Al Jaber, Chief Executive Officer of Masdar and Chairman of the Executive Committee of the Board of Trustees of Masdar Institute. 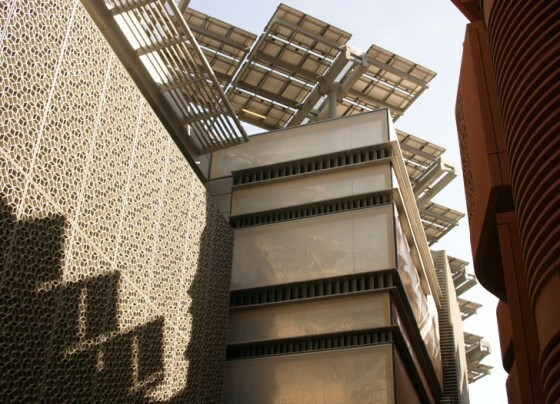 Any new technology will be tested at Masdar City before it is implemented elsewhere in the emirate. A very specific set of projects are on the team’s agenda, including GCC-specific enhancements to commercial chiller and air handling equipment and model-based decision-support tools for estimating life-cycle cost/carbon impact of energy efficiency measures, according to Masdar. Another team will work towards improving predictive maintenance requirements of buildings and to develop enhance measurement technology, and another involves improving energy performance models that will contribute to better demand-side management of crucial energy resources. Lastly, the task force hopes to develop an advanced end-use sub-metering system that will further contribute to the reduction of energy use. Combined with MIST’s numerous other initiatives, this new project is slowly transforming Abu Dhabi from an oil-sipping state into a sterling example of sustainable development.